Our specially designed Salt Cabin is for those who suffer from various respiratory conditions, skin disorders and also for those who are looking for an overall wellness therapy. It‘s available in several different sizes and can easily be self-assembled. Introducing our newest and most state-of-the-art, personalized salt therapy product on the market. Utilizing next generation technology, the HaloBooth PRO™ provides the ultimate, private and most effective halotherapy experience in just 20 minutes, compared to a 60 minute salt room therapy session. It is cost efficient, simple to use and doesn’t require costly room modifications to operate. The HaloBooth PRO™ is available in 3 different sizes, based on your spacing requirements. It is powered by our high efficiency HaloFX™ halogenerator and comes with our 2 year manufacturer’s warranty. Polychromatic Lighting System (chromotherapy), Heated Experience Option (providing maximum absorption), High Endurance Construction with Scratch Resistant Glass, 20% Larger than the HaloBooth™ (for maximum comfort), Built-in Superior Speakers ( with media device adaptor), Built-in High Quality Reading Lights, Built-in Ventilation System (circulates fresh external air), PRO™ Large Dimensions: 82″(H) x 83″(W) x 52″(D) | Weighs 750 lbs. 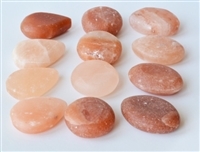 The newly upgraded HaloBed (Salt Bed) is the leading multi-functional Dry Salt Therapy unit on the market. The HaloBed is an excellent solution for those who prefer privacy, want deep relaxation and/or need an extra boost of salt for skin issues such as psoriasis, eczema and rashes. The European custom made HaloBed™ provides an effective and rapid relaxation experience with it’s built-in heating, colorful ambient lighting and sophisticated sound system. Plus it includes a unique partition that can isolate the head from the body to allow for a more intensified salt therapy session for severe skin conditions. The HaloBed™ is easy to operate and simple to maintain and offers a lucrative business opportunity with a small investment and quick return. It’s a simple and safe portable unit that requires no room modifications, no contractor fees and comes fully assembled. It is the perfect add-on feature to any spa, wellness center or massage practice. 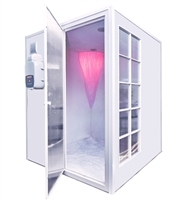 Our modern designed HaloBooth™ was created to provide an effective and personalized salt therapy experience in a private setting. Its compact size offers the powerful benefits of a 60 minute salt room therapy session, in just 20 minutes! 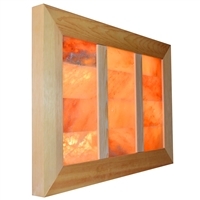 It is an excellent solution for smaller spaces, making it ideal for either business or home use. It is cost efficient, simple to use and doesn’t require costly room modifications to operate. The HaloBooth™ is available in two colors – white wood or dark wood. It is powered by our high efficiency HaloFX™ halogenerator and comes with our 2 year manufacturer’s warranty. Features include Built-in Speakers (with media device adapter), Built-in High Quality Reading Lights, Built-In Ventilation System (circulates fresh external air), Dimension: 83″(H) x 32.3″(W) x 40.5″(D). Weighs 180 lbs. The unique HALO FX™ Halogenerator delivers a reliable and powerful performance for every Dry Salt Therapy session. 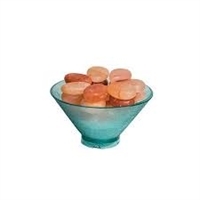 Its sleek lightweight design allows for easy installation for both small and large salt rooms. The HALO FX™ has numerous adjustable pre-set programs that make it customizable for any lung or skin condition. It is quiet, simple to operate and virtually maintenance free!